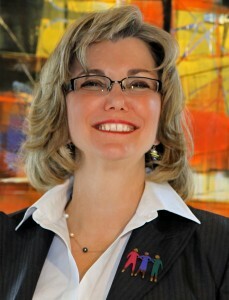 Valerie graduated from Gonzaga University with a degree in Chemistry, with honors, and attended Seattle University School of Law, where she worked as a legal intern in the Estate Planning Clinic at the Ronald A. Peterson Law Clinic, and was a member of the Dispute Resolution Board. Prior to law school her time was spent raising her three sons, the oldest of whom was born with multiple disabilities. Her involvement included advocating for her own son, assisting other families in advocating for their children with special needs, and being involved in several organizations who assist people with special needs and their families, including acting as the founding President of Lifetime Secure Personal Assistance Network (LifeSPAN), a family directed organization that works with families to plan for the future of their loved one with disabilities. She is passionate about providing legal assistance to clients as they age or who have special needs, and their families. For recreation and fun, you will find Valerie cruising Lake Washington and Puget Sound in a Bayliner Cruiser with her husband, Jeff, enjoying boating activities at Queen City Yacht Club with family and friends, walking on the beach on the Washington coast, and participating in a variety of activities and celebrations with her three adult sons.